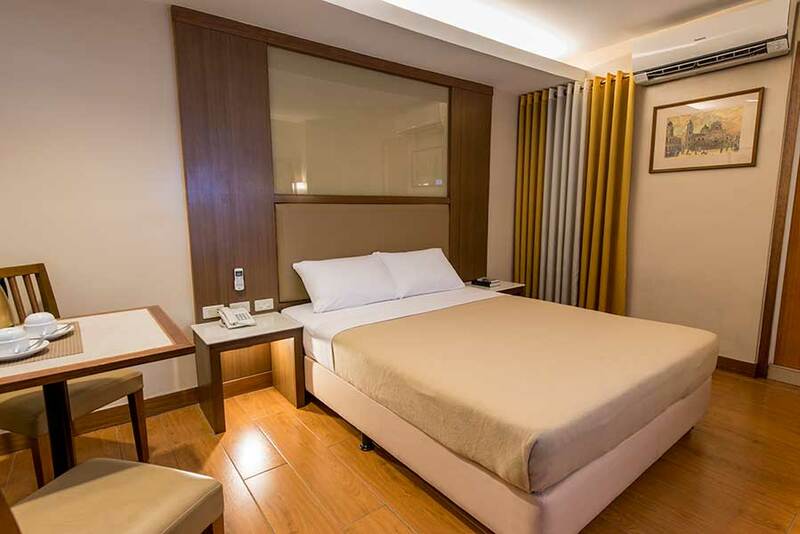 From the well-appointed Standard Rooms to the functional bed space accommodations, our hotel in Pasay near airports has a guest room fit for your budget and your taste. 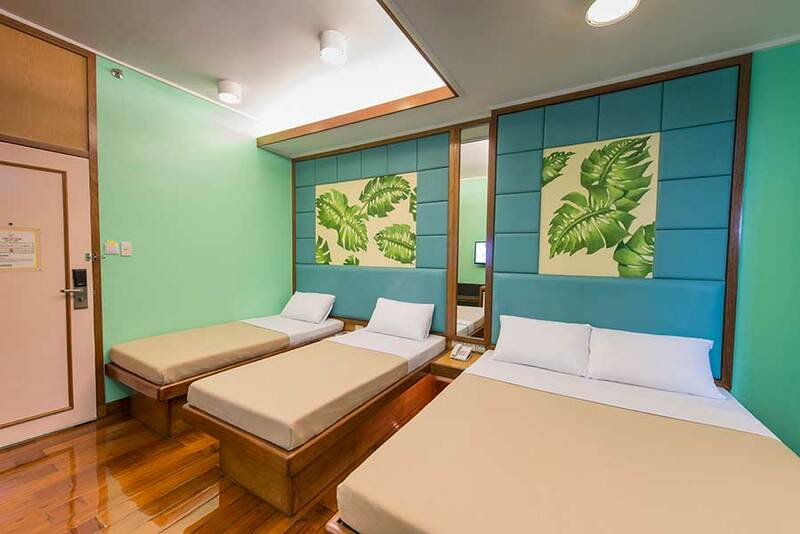 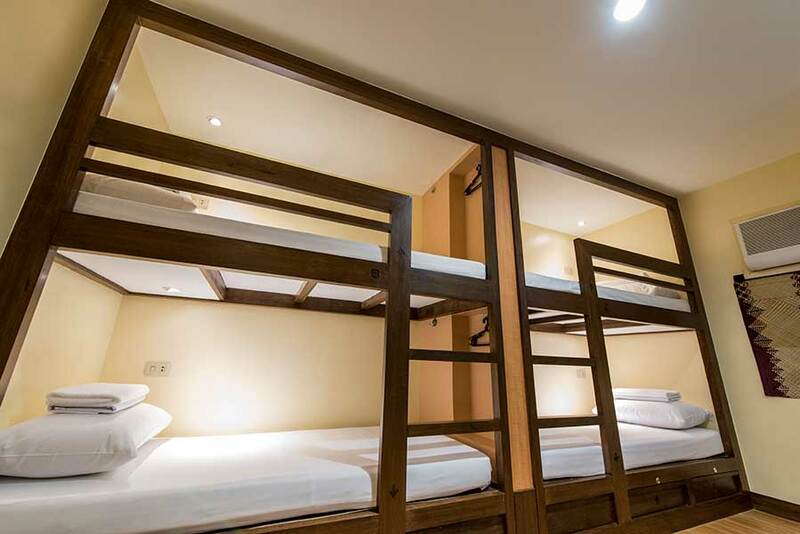 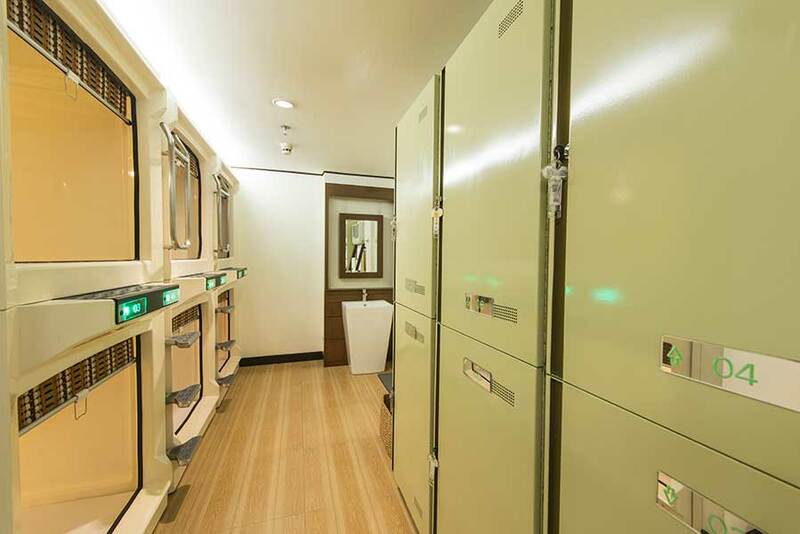 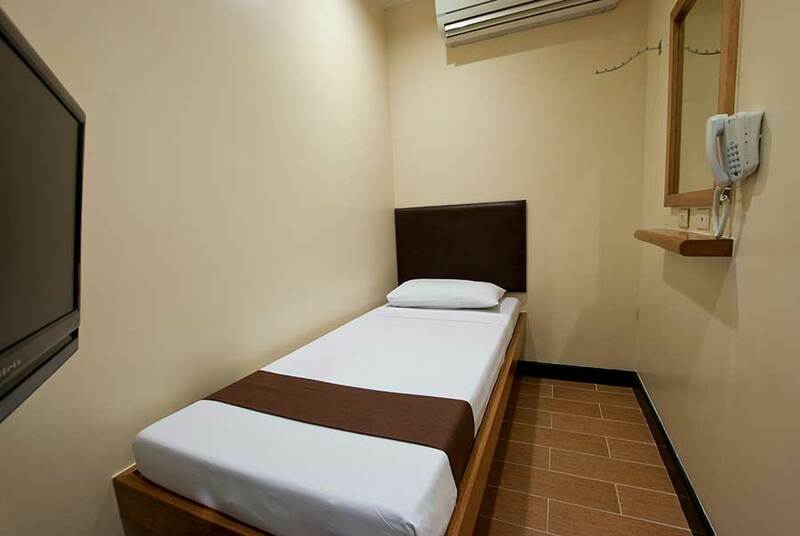 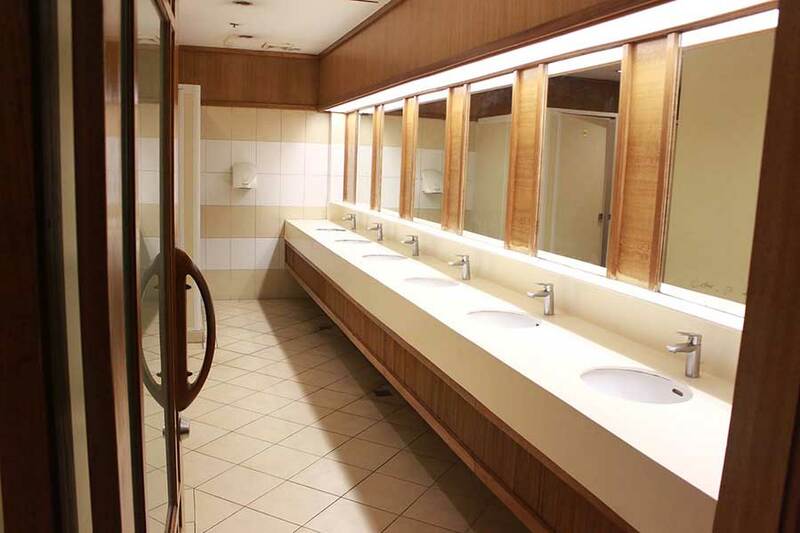 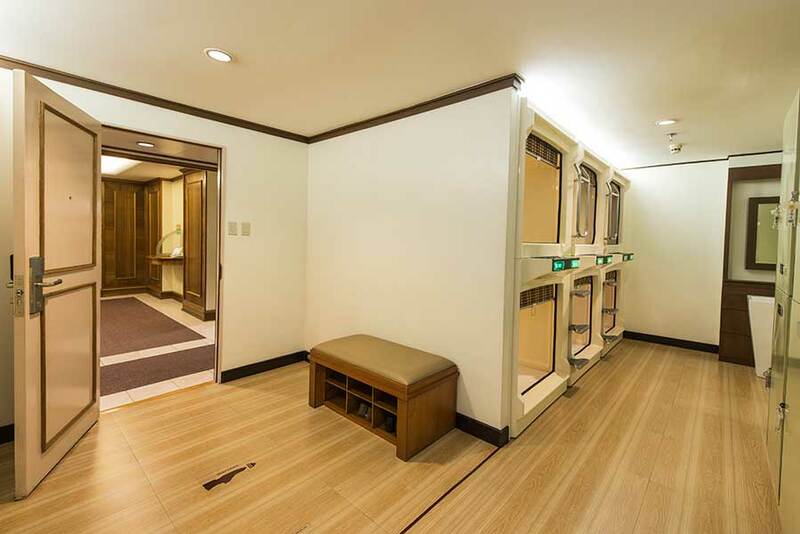 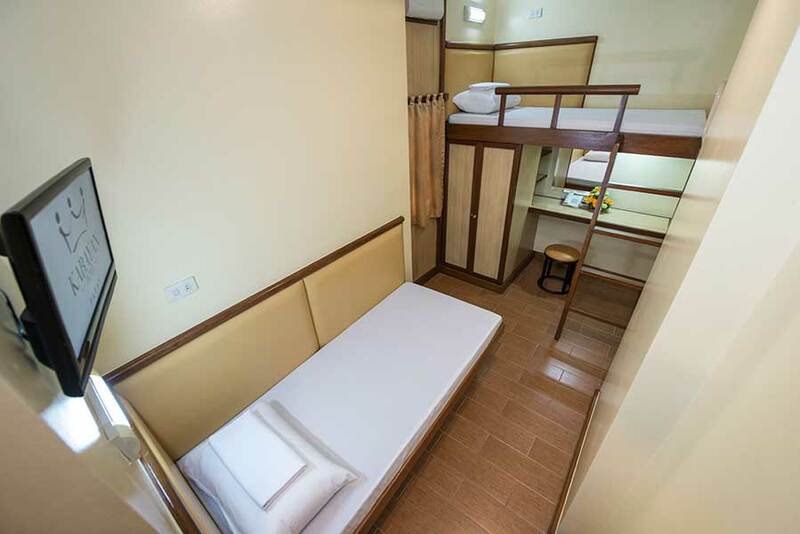 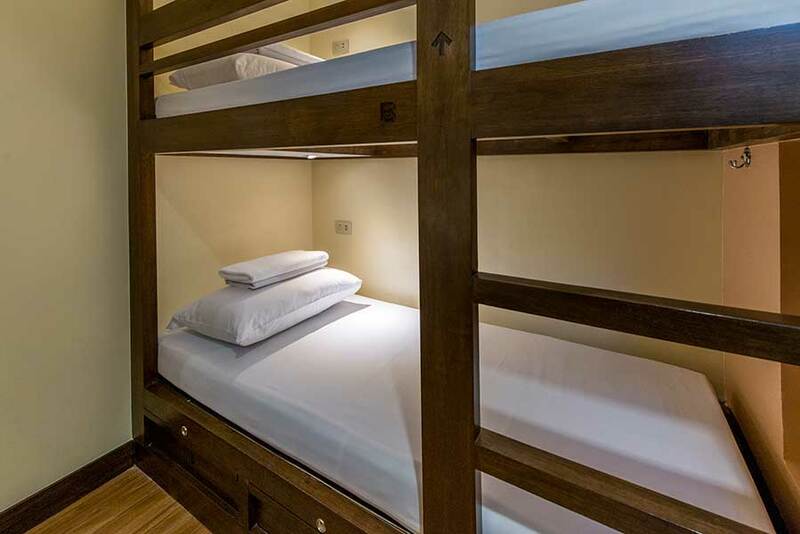 Each room at our budget hotel in Pasay comes with a unique design and functionality, taking you to a place of comfort and convenience — for the right price. 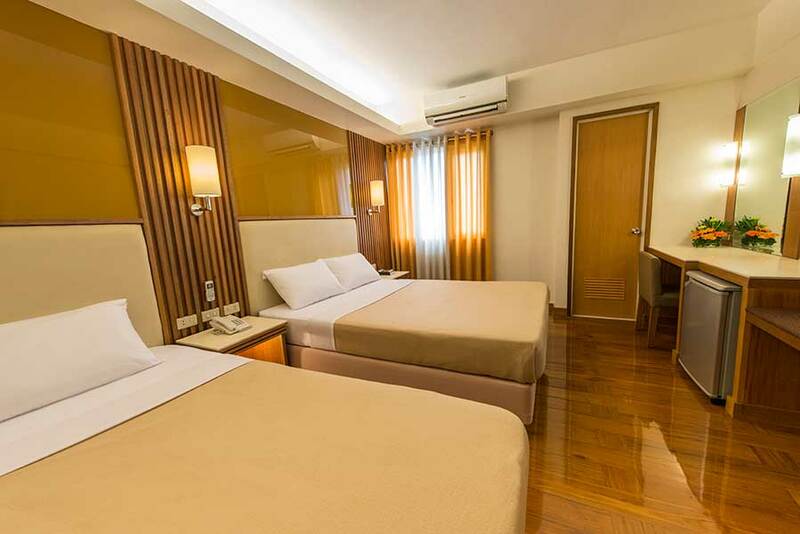 To ensure that all guests find the right accommodation, our hotel in Pasay near airports, malls, and government offices has 276 rooms, categorized into Team, Standard, Pads, Flats, Dormitories, and Kapsule Beds. 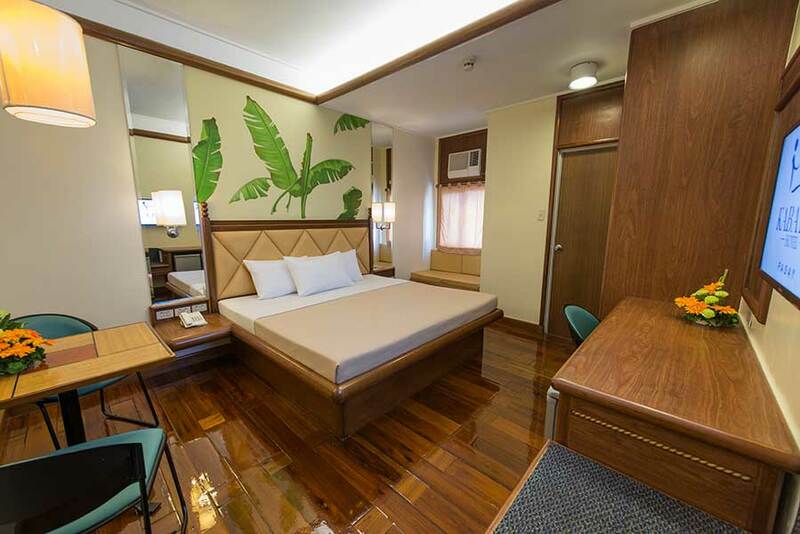 All our rooms have air-conditioning, cable TV, phone, complimentary Wi-Fi internet access, bedside control panel, and 24-hour in-room dining. 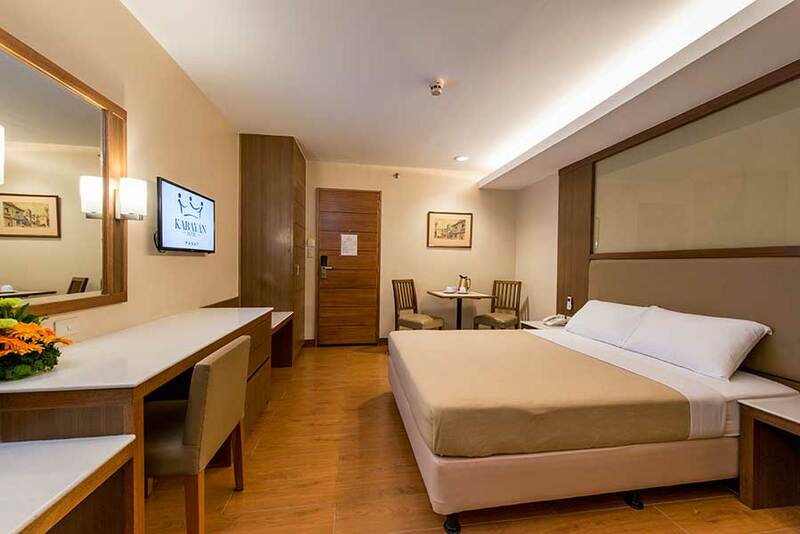 Perfect for those traveling with a group or their families, our Team Room can accommodate up to 4 guests. 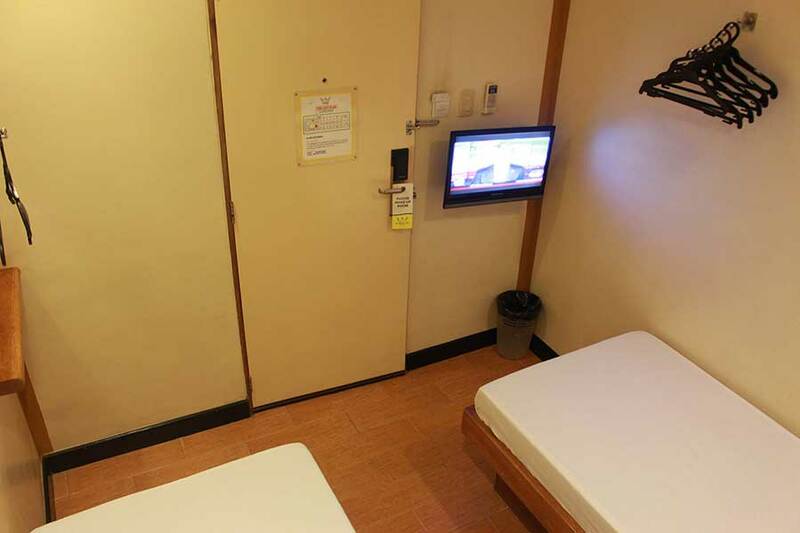 Ensure privacy by staying in our Standard Room. 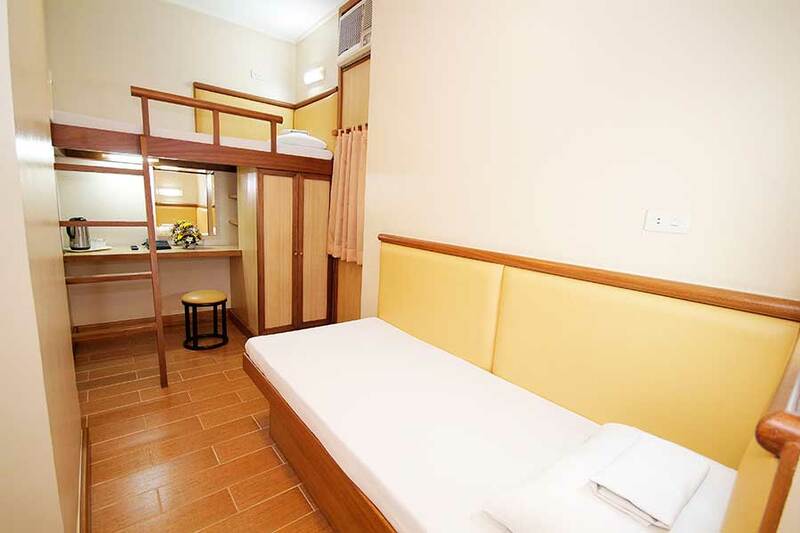 This accommodation is good for 2 adults and 2 kids (0 to 12 years old). 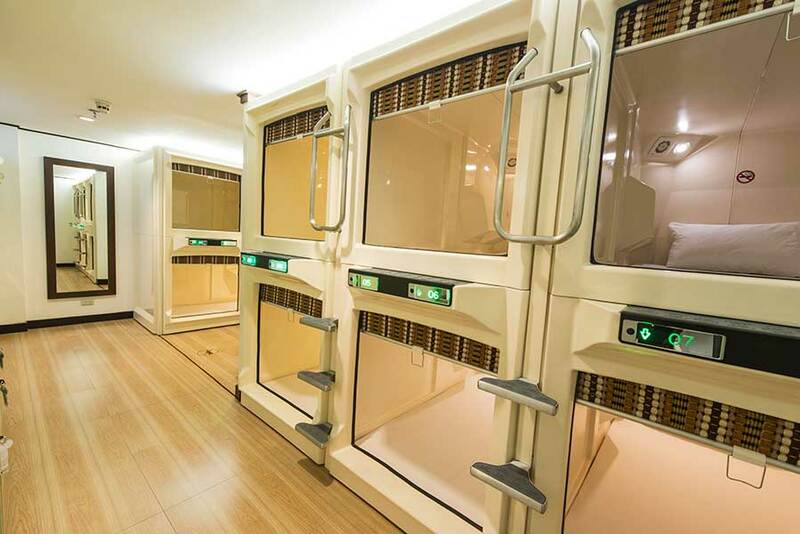 Experience Japanese hotel technology in our Kapsule beds. 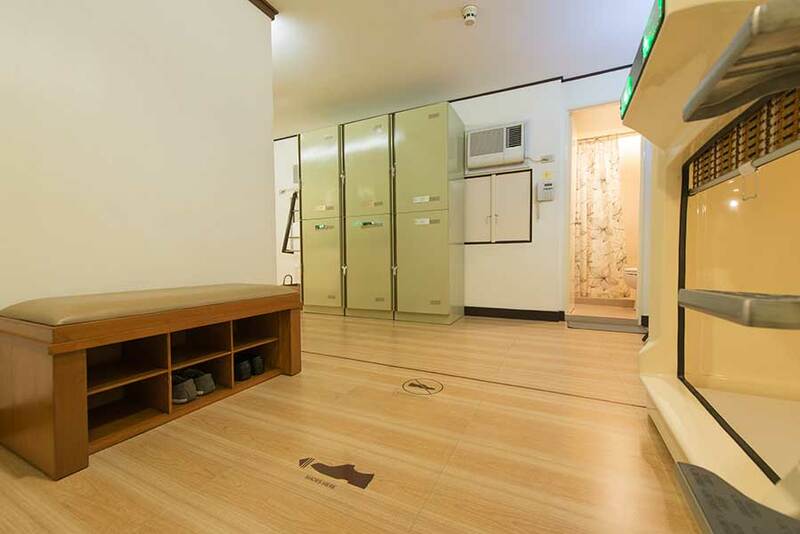 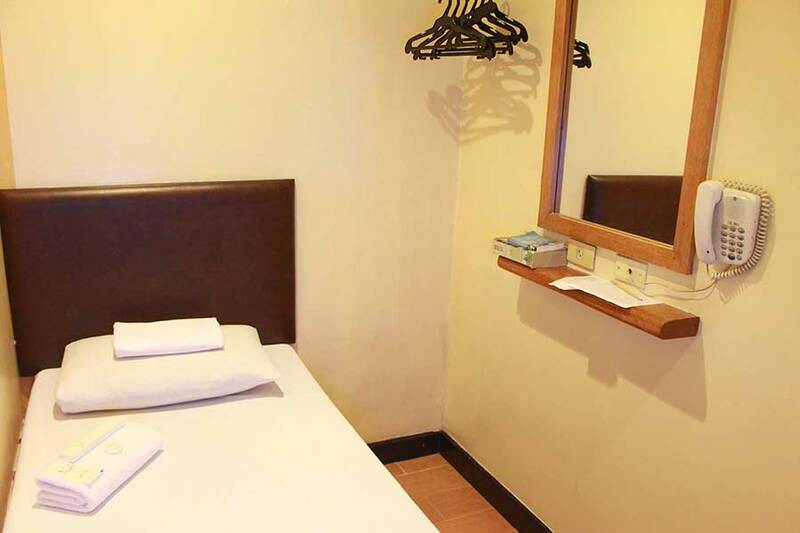 This accommodation is located inside gender-exclusive rooms with 4, 8, or 10 beds. 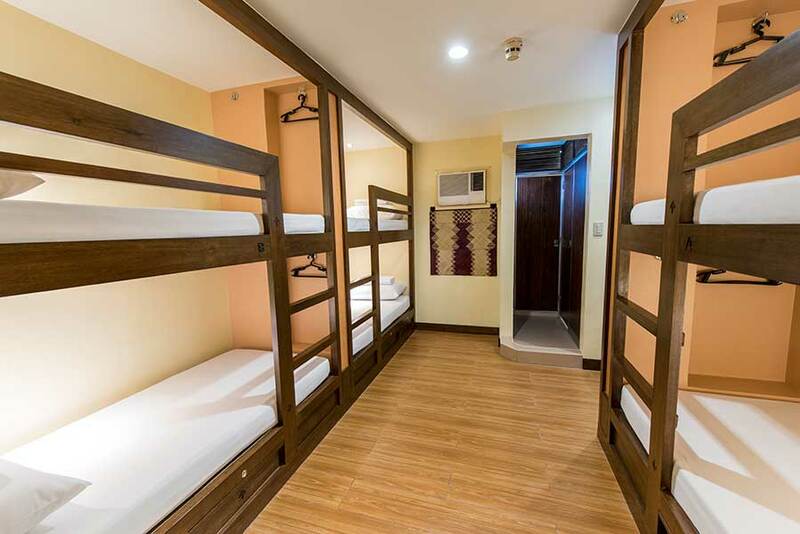 Have a very comfortable yet affordable stay in our Dormitory Rooms. 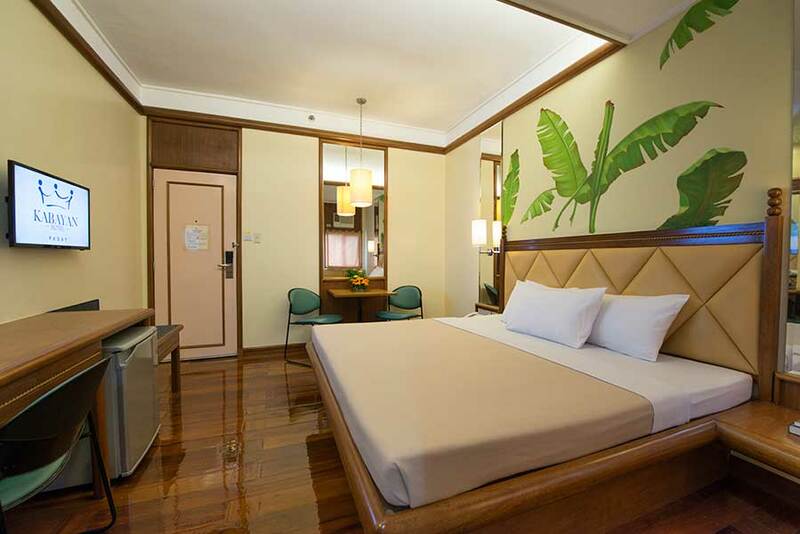 This accommodation is located inside gender-exclusive rooms with 3 double-deck beds. 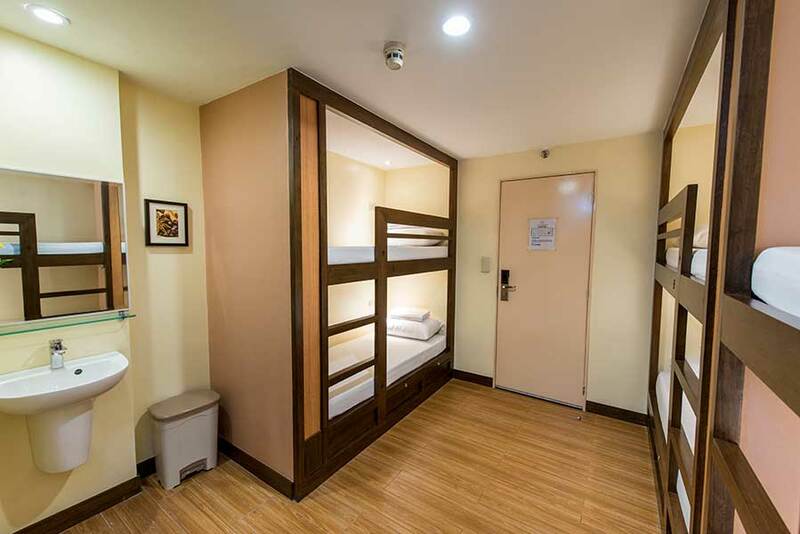 Have an affordable stay while still enjoying total privacy with the Pad Solo. 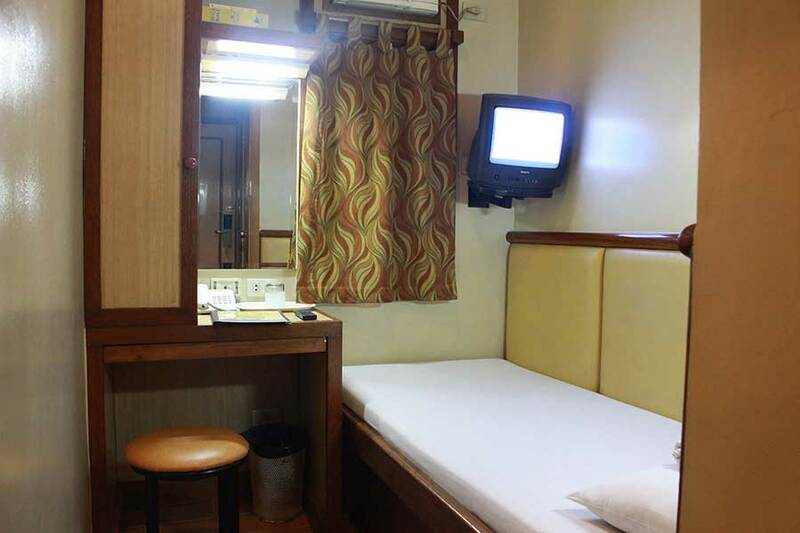 This accommodation is good for 1 guest. 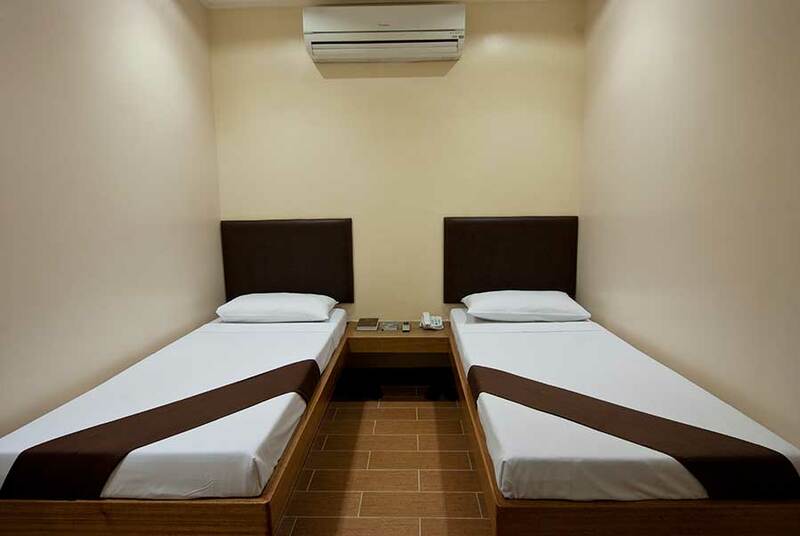 Traveling with a friend? 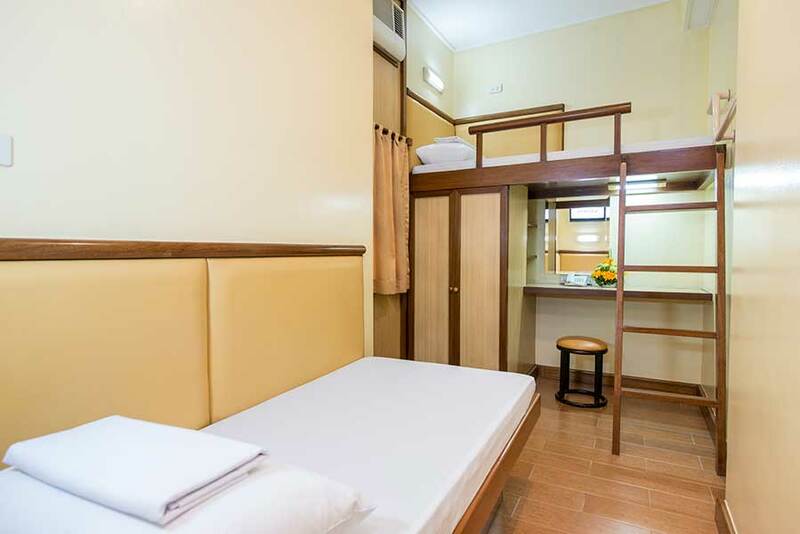 Book the Pad Twin for an accommodation that’s easy on the pocket. 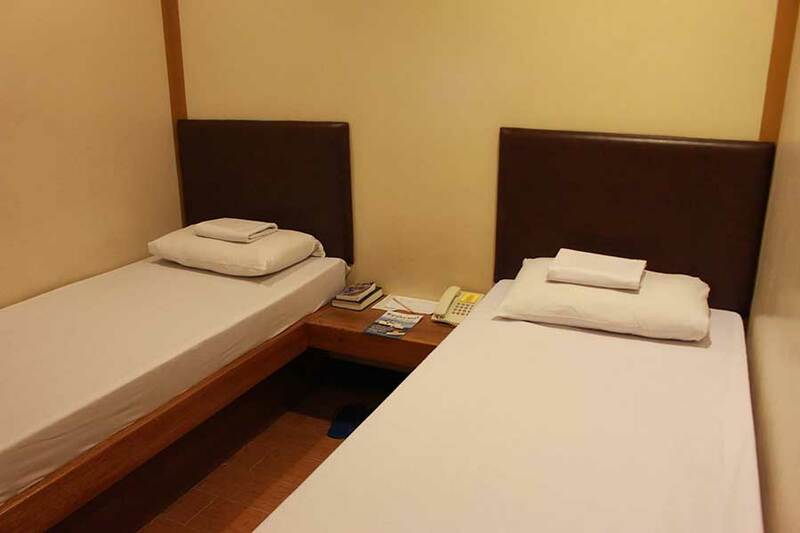 This room is good for 2 guests. 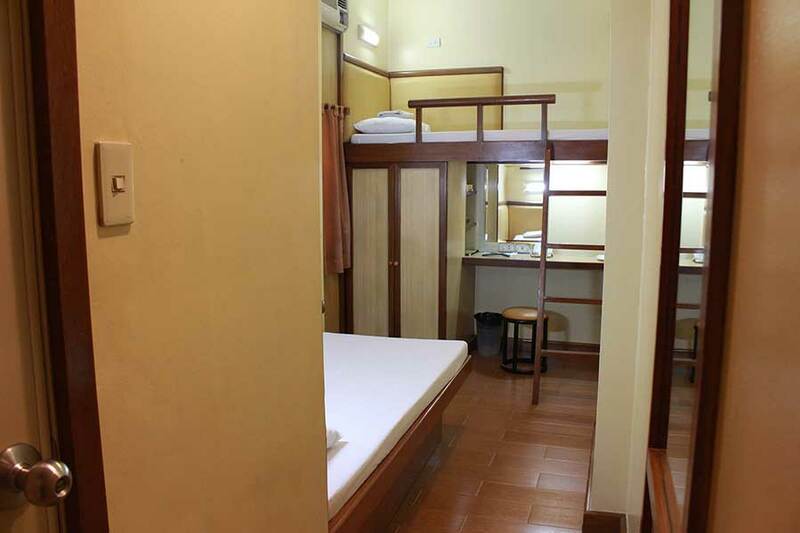 Looking for a great budget single room? 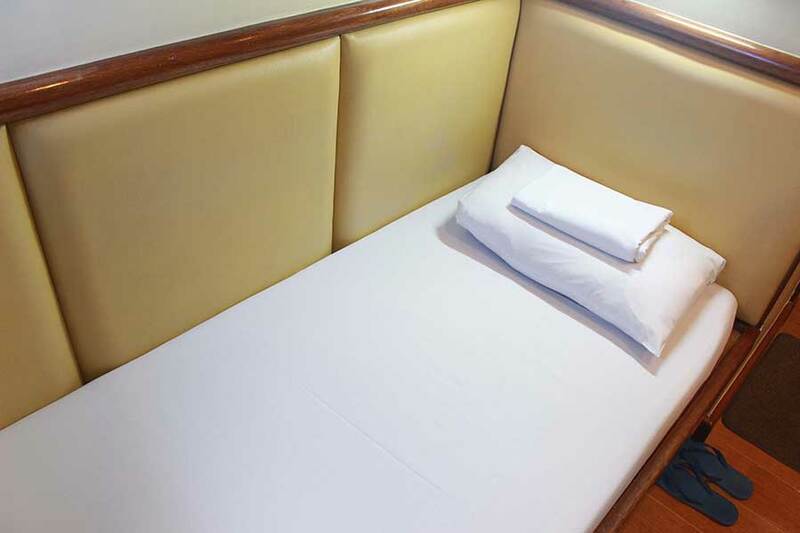 Then the Flat Solo is for you. 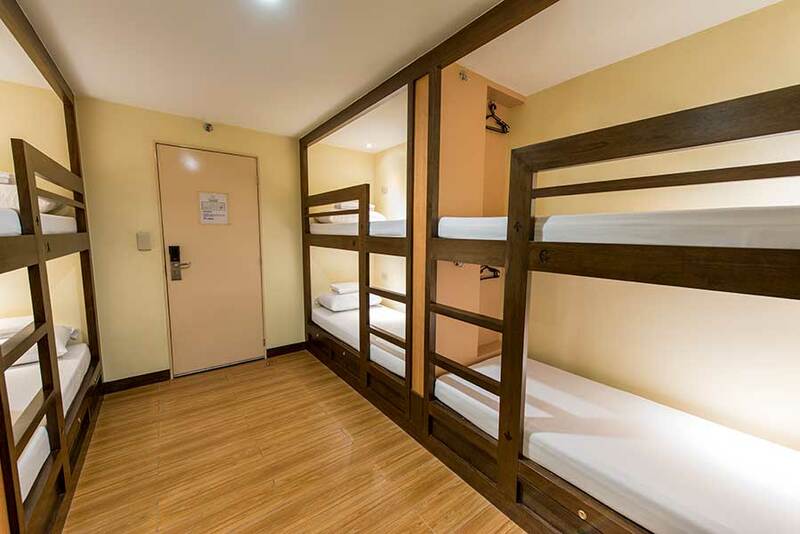 This room is good for 1 guest. 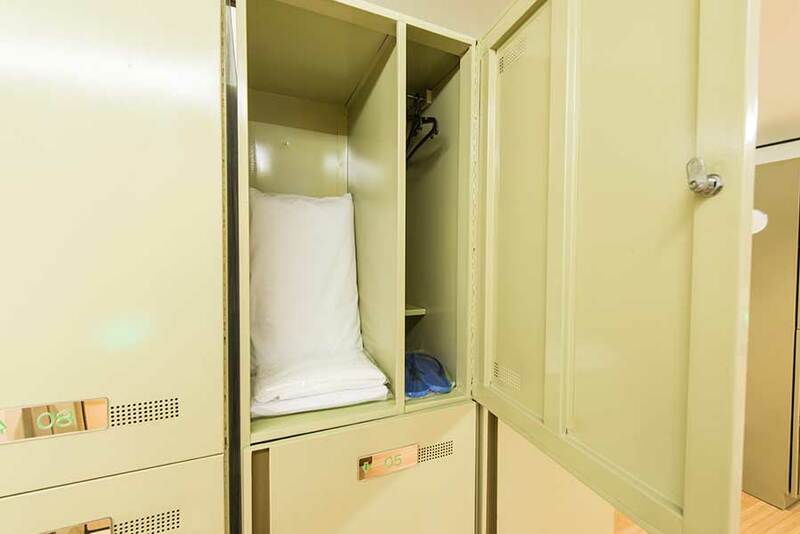 Pay a lot less without compromising privacy. 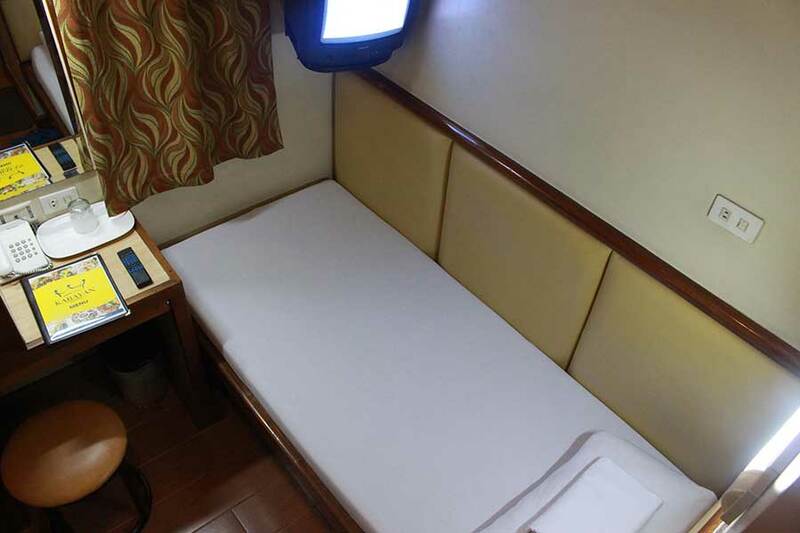 The Flat Twin is good for 2 guests. 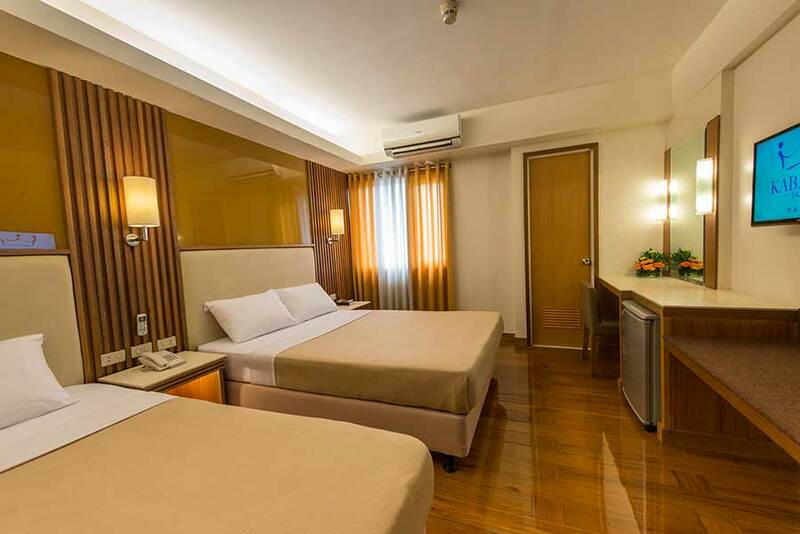 Click below to view our rates and reserve a room at our hotel in Pasay.